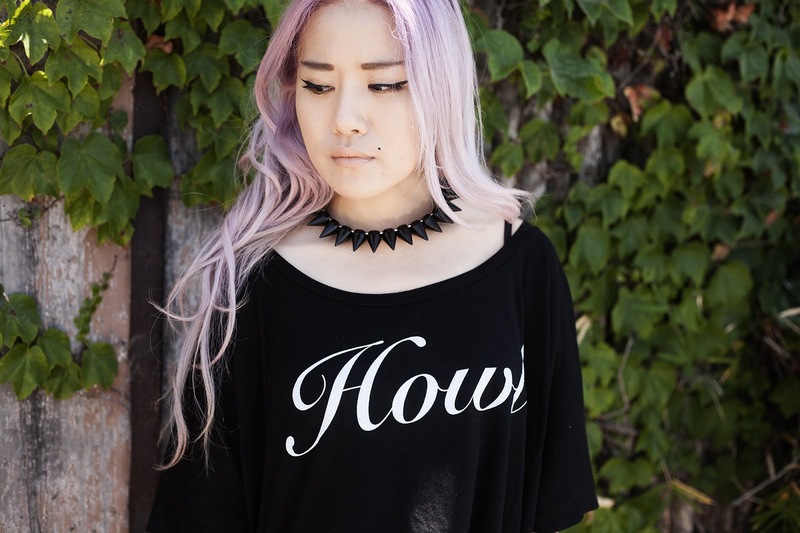 How cute are these tops by Simdog? 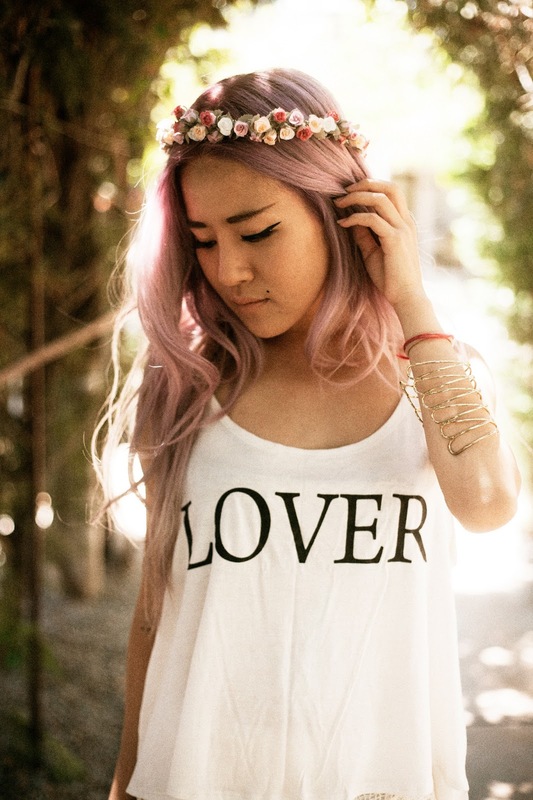 Most of their designs have a Wildfox-like beautiful simplicity except for the ones like the last tee I'm wearing. The last one is edgy and comes in a destroyed design and I love that it's censored so I can wear it in public hahah. The first outfit is styled with leather shorts, black thigh high socks, and platform combat boots. The usual. I'm also wearing the black plastic spiked choker from the Australian company Dragonberry I worked with a while back. And my shades are from a vendor at my school, a steal for 7 bucks! My second outfit styles the simple, pretty "Lover" top with delicate lace shorts and a floral headband. As for the third outfit, look at my shoes!! These are the sold-out Stuart Weitzman gladiator sandals! I usually hesitate to wear shoes without heels (and these are ESPECIALLY flat) because I'm so damn short but these don't make me look stocky like sandals normally would. They're miraculous. It was a toss-up between these and some Jeffrey Campbell heeled glads but there is a huge difference in the quality between the two so I stuck with these. Check out Simdog's Instagram. And their website is linked below! Perfect. No other words needed!